In Part I, I discussed how physical therapy of the shoulder using traditional rotator cuff exercises really gets me fired up. 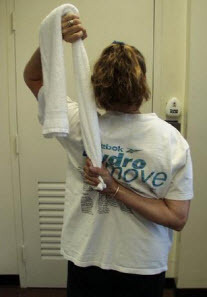 Traditional methods of shoulder rehab often train the muscles of the shoulder in a way that they are not really used in normal everyday function. If you haven’t caught that article yet, I suggest you read that one first. In this article I want to address a couple other pieces of the puzzle: motor control and regional interdependence. 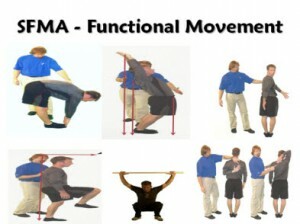 There are many cases in which a certain movement may look dysfunctional in a standing position, but may actually be completely functional in other positions where the patient is more unloaded like lying on their back or stomach, side lying, on hands and knees, or even in kneeling. 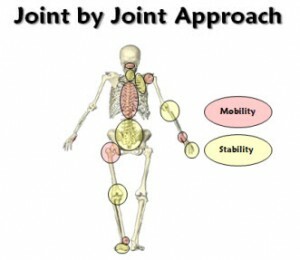 In these positions there are fewer joints and segments to control and in most of these cases less gravity to deal with. During the evaluation is was also discovered that she had some loss of mobility in her neck. Because the neck movements were not painful, these were addressed first using cervical manipulation and then I followed that up with some soft tissue work using the Graston Technique through her upper trapezius, levator, and rhomboids. Half kneeling chops and lifts are a great way to improve stability and motor control through the spine and hips. Needless to say, this patient was quite happy with the results. Sometimes it is as simple as being in the right place at the right time with your treatment. We’ll see how the rest of her treatment goes but for now we’ve knocked out a major limitation in her shoulder function without directly targeting her sore shoulder. This entry was posted in Uncategorized and tagged Elite Physical Therapy Traverse City, graston technique, physical therapy traverse city, SFMA, shoulder physical therapy, shoulder rehab, sports physical therapy, sports physical therapy traverse city, sports therapy traverse city, traverse city sports therapy on April 19, 2013 by Joe Heiler. So what should Physical Therapy in Traverse City look like? There are many things to consider when choosing which physical therapy clinic is right for you. Over the next few weeks I’m going to offer a few suggestions for things to think about, or even ask other therapists about, prior to beginning a course of physical therapy. 1) A Movement Based Approach: my previous blog entries Don’t Put Fitness on Dysfunction and Movement Proficiency and the Ankle describe how looking at patterns of movement are critical to narrowing down where the cause of the pain is coming from. Just because your back hurts doesn’t mean it’s the back’s fault. Your back may just be the victim of poor hip mobility below and poor shoulder mobility above just to name a couple. Following the traditional physical therapy model, you’re probably not going to find the connection. Instead the pain in the low back is the focus. Not that the low back does not deserve to be treated to reduce pain and inflammation. That absolutely must be done, but if that is all then chances are your low back symptoms will be back sooner than later. The object is to determine which pattern is the most dysfunction, and then break that pattern down into it’s component parts to find the impairment. So for example, if someone cannot touch their toes, it could be a lack of mobility in the spine or hips, a lack of hamstring flexibility, or even a lack of core stability. Your therapist must have a way to find that answer! If you’ve ever been to physical therapy for your back, I can almost guarantee you were told you must stretch your hamstrings. Well if you can’t touch your toes of course your hamstrings will feel tight. Lacking mobility in your spine or hips will limit your toe touch and make it seem like your hamstrings are tight. It’s probably only the hamstrings 25% of the time at the most. Unfortunately many people are spinning their wheels in physical therapy because they are not working in the right place at the right time. Could be why I’ve become the ‘physical therapist of last resort’. I can’t tell you how many people have been referred to me over the past few years after that have failed a trial or two of traditional PT, injections, massage, etc. 2) A Soft Tissue System: at Elite Physical Therapy and Sports Performance I prefer the Graston Technique because of the great results I’ve had treating all types of soft tissue injuries from tendinopathies, to plantarfasciitis, to contusions, scar management, and more. This is my tried and proven method and there are other systems out there that do work, but you really should be looking for someone with a system in place. The majority of the time exercise alone will not fix the problem. 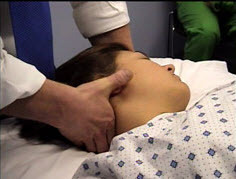 Some sort of soft tissue release is typically needed in and around the site of pain. Very often even above and below the site of pain there will be significant soft tissue restrictions that should be addressed. As I mentioned in #1, only by using a movement based approach will a physical therapist be able to detect these other restrictions. For example, we know from the literature that very often trigger points in the gastroc/soleus complex (calf) will contribute to plantarfasciitis and even radiate pain to the bottom of the foot. 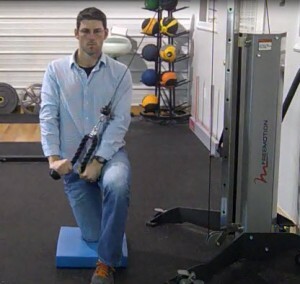 Limitations in hip extension and glute strength will also contribute to the condition. Is your therapist looking that far up the chain? At Elite Physical Therapy and Sports Performance, our goal is to ‘fix’ the problem, and to give the patient the tools necessary to prevent a recurrence. Call us anytime with questions about our methods, and how we can help you if you’ve been unsuccessful with other methods of treatment in the past. This entry was posted in Uncategorized and tagged functional movement, graston technique, joint by joint, physical therapy, physical therapy traverse city, SFMA, sports physical therapy, sports physical therapy traverse city on November 14, 2011 by Joe Heiler.